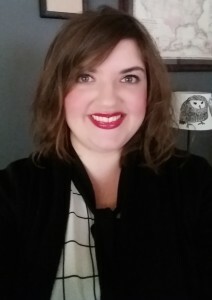 A strong passion of mine is supporting and connecting families with resources, whether this be details about events and activities, product and service reviews or information about my personal experience on certain topics. I feel the more information we are given and the more opportunities that are available to us, we can make the best decisions for ourselves and families. 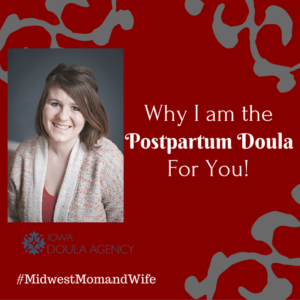 Since the beginning of my postpartum doula journey, I have envisioned a place where mothers can come together in a safe and open place to share their concerns, thoughts, laughter, tears and just feel loved. 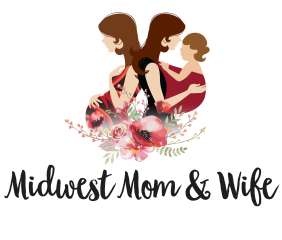 Beginning in February 2017, I will be hosting Bellies, Babies & Beyond twice a month. This group will be just that. I will be there twice a month to chat with you, answer your questions, and give you additional resources if needed. Do you not have any concerns or not sure what you want to talk about? That is okay too! Just come and be with us! 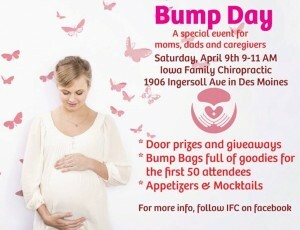 This is a great opportunity to get out of the house and be with other mothers in the same place as you. The 1st Thursday of the month; 9:15 a.m. – 10:45 a.m. at the Iowa Doula Agency located at 120 5th Street, West Des Moines. The 3rd Saturday of the month; 9:15 a.m. – 10:45 a.m. at Balance Chiropractic & Wellness located at 6611 University Avenue, Windsor Heights. Feel free to come to both each month! This will be an open house style group. Feel free to come late and if you need to leave early, that is okay too! Registration in not required. 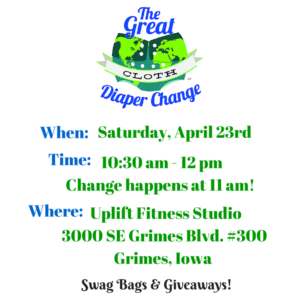 Newborn babies to 12 month are welcome! 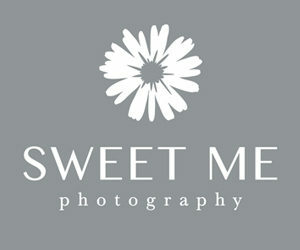 If you have any questions, do not hesitate to contact me here! 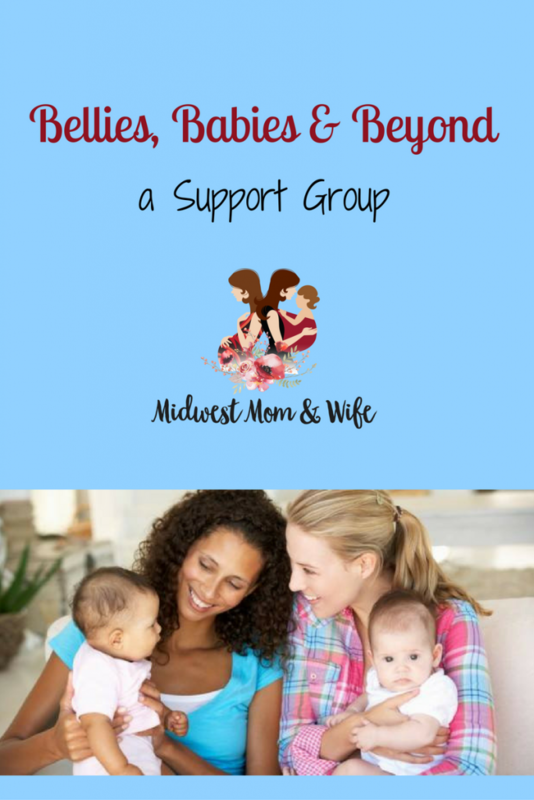 Note: Bellies, Babies & Beyond is registered with Postpartum Support International. Come out to Iowa Family Chiropractic on April 9th, 2016! 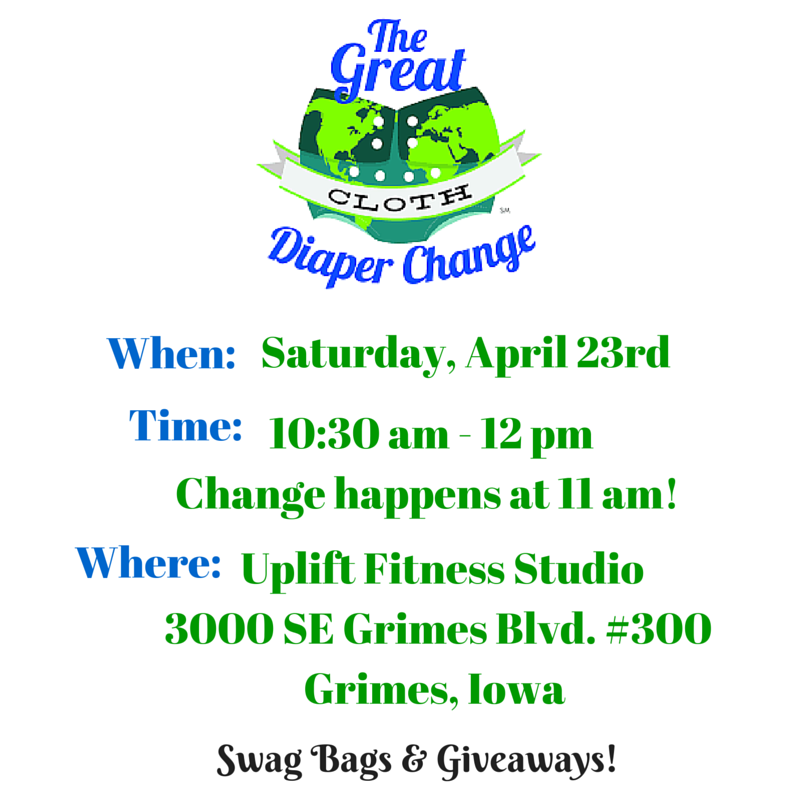 From 9 am until 11 am there will be around 20 vendors sharing their business, goods, and services for new and expecting parents/caregivers and for families trying to get pregnant! 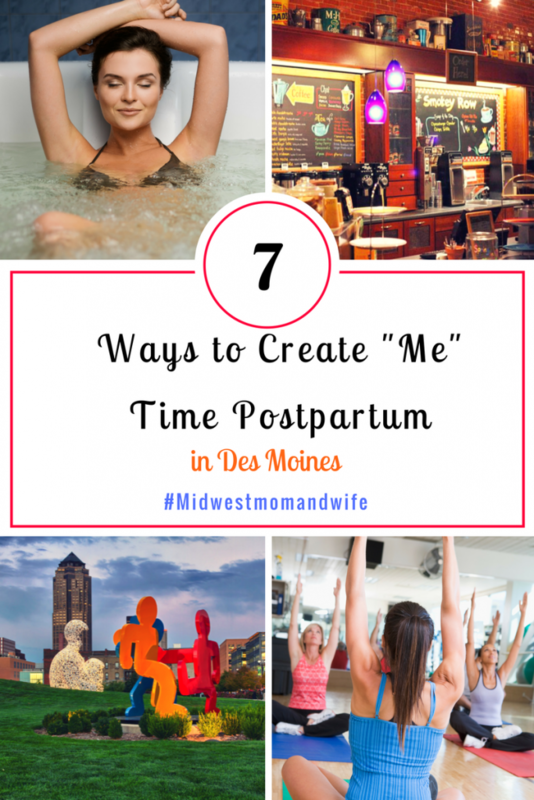 Such as local midwives, doulas, photographers, places to shop, acupuncture, massage, and much more. This event is also sponsored by Fadeaway Floatation! Check out the great experience I had! Make sure you join the Facebook event to keep track of everything! When I get asked what my career is and I reply that I’m a Licensed Acupuncturist and Chinese Medicine practitioner a common response is “Cool! Tell me more.”. I love these moments as it’s an opportunity for me to educate an individual about the amazing benefits of acupuncture. 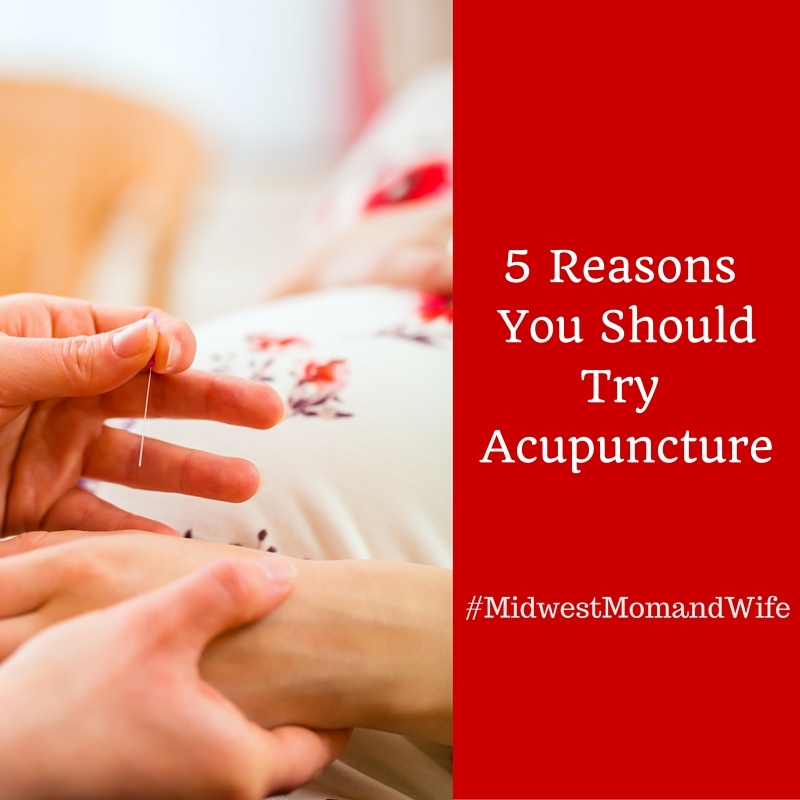 Acupuncture has been performed for thousands of years, but has only gained popularity in the United States since the 1980s. The fact that as the years go by, the number of people using this form of holistic medicine is growing exponentially is an indication of it’s effectiveness and depth of health conditions it can treat. As acupuncture has become more mainstream, the amount of research studies and clinical trials have increased only further proving it’s efficacy. We take an over-the-counter pain reliever or NSAID for our muscle tension and headaches, an anti-histamine for our allergies, birth-control pills for our menstrual cramps and an anti-diarrheal for our IBS. These medications, though, are masking your symptoms and not treating the root cause of why you have the symptom in the first place. They may be a temporary relief, which at times is necessary, but when a condition becomes chronic, the issue lies in the person’s body constitution. That’s where acupuncture and Chinese Medicine come in. It treats each individual uniquely, based on what their body needs and what traditional diagnostics are showing. By treating the root cause of a health condition, the individual’s health stabilizes and their body becomes more in balance. Your stressors aren’t going to disappear with acupuncture, unfortunately, but your body’s response to potential stress will be reduced. Acupuncture helps to relax the sympathetic nervous system, which kicks in to high gear when we are in “fight or flight” mode. We need our fight or flight response when we are in danger, but do we need it sitting in traffic or at our job each day? 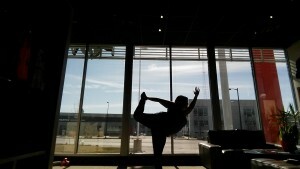 Daily activities will be more enjoyable when we are in a more relaxed, coherent state. Monthly irritability, mood swings, food cravings, cramps, sound familiar? These are all signs of hormone imbalance, all of which acupuncture can help to correct. 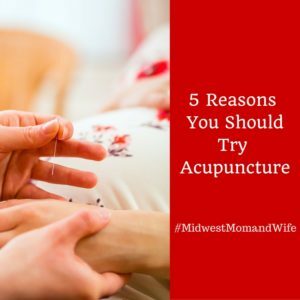 By increasing circulation to the ovaries, uterus, hypothalamus and pituitary glands, acupuncture can treat the underlying cause of these unenjoyable symptoms. It is also effective at helping the liver remove toxic estrogens from your body, a common cause of hormone imbalance. When our sympathetic nervous systems don’t feel the need to release cortisol all night long, the body can more easily go in to “rest and digest” mode and sleep soundly through the night. Our bodies heal and repair when we sleep. If we don’t sleep, we don’t heal, period. In my opinion, Chinese medicine is one of the best forms of therapy for digestive imbalance. If digestion is not functioning properly, other body systems will be affected. By bringing circulation of fresh oxygen, nutrients and hormones to the digestive tract, the system can rebuild and begin to digest our food and fluids efficiently. Signs of an out-of-balance digestive system include constipation, diarrhea, bloating, gas, upset stomach, heartburn, immune system weakness, such as seasonal allergies, and much more. When the digestive system is working properly, food and fluids are turned in to blood and energy which result in more energy and a stronger immune system. If you are experiencing any of the unfortunate symptoms listed above, consider treatment of the underlying cause of your health concern. By tailoring acupuncture treatments to your needs, the body is the ability to heal and flourish. 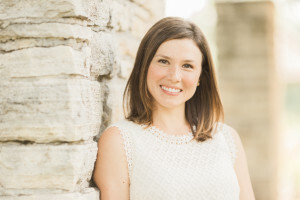 Stephanie Braunwarth is a board-certified Licensed Acupuncturist with a special focus in womenʼs health, fertility and nutrition. 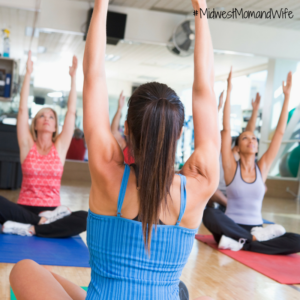 Stephanieeducates her patients about the importance of treating the underlying cause of a health condition and encourages them to take an active role in their health. 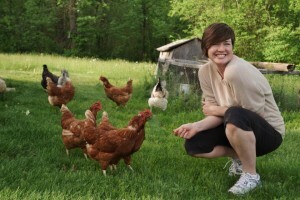 My name is Ellen Bell and I am a wife, mother, and farmer. Two years ago, I moved my family from our suburban home to a 10 acre farm just outside of Des Moines, and I started Bell Farm. I’m following a dream of mine, and I haven’t looked back. Bell Farm began with a large garden and a small flock of laying chickens. We sold a little bit of produce through our Facebook page ​and a few dozen eggs a week to friends and family. As word of mouth grew, we slowly expanded and branched out, trying new things. For example, we brought home a few dozen chicks from the state fair one year, and lo and behold, our meat chicken business was born! Now we raise 100+ meat chickens a year. They are free­range and pastured on our property, and we humanely butcher and process them ourselves here at the farm. We’ve also found markets for some of the other by­-products of the meat chickens, such as hearts, livers, gizzards, and necks/backbones for making homemade chicken broth and stock. Our laying flock of hens has grown, as well. We currently have 28 laying chickens with plans to increase to 50 this year. 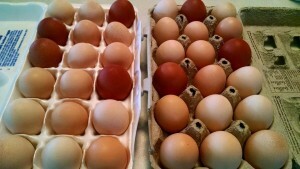 We sell approximately 10 dozen eggs each week. Our customers seem to appreciate the fact that our hens live happy, healthy lives outdoors, and that they can come visit their egg producers anytime they want! 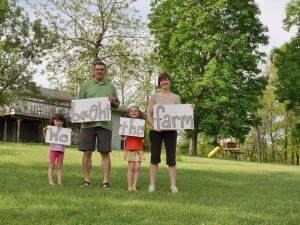 Our first summer at the farm, we planted a medium sized garden, primarily for our family. Like other things, that expanded quickly as well. 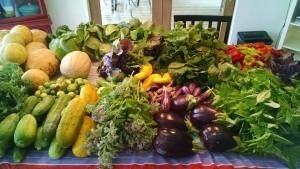 Last summer we cultivated roughly a half acre and sold 40+ varieties of fruits, vegetables, and herbs through a CSA. For those who are unfamiliar with this farm model, CSA stands for Community Supported Agriculture and refers to a program where customers (also called members) can pre­pay for a portion of the farm’s harvest (also called a share). Shares are typically distributed to the farm’s members on a weekly basis throughout the growing season. 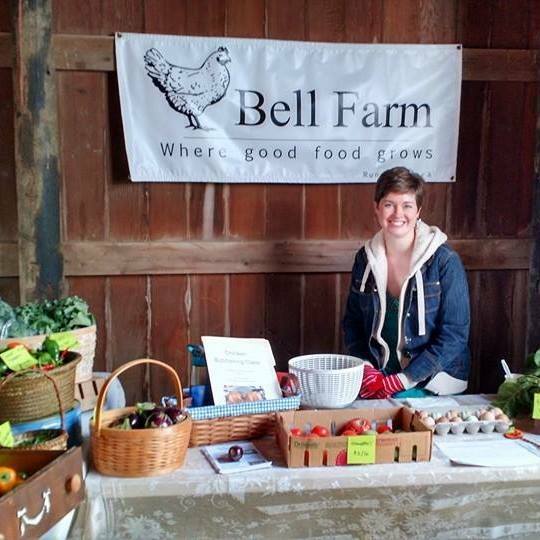 Last year, Bell Farm’s CSA ran for 5 months and included 10 member families. This summer, we will continue our CSA program and expand it to 12 full shares, which we will sell in either full or half share increments. We’ll be cultivating over an acre this year, and we have plans to sell our excess produce at area farmer’s markets, through our Facebook page, and to other outlets like grocery stores and restaurants. An interesting side­shoot of our farming business is teaching classes. In the last decade, there has been a resurgence of interest in homesteading topics like gardening, food preservation, raising backyard chickens, etc. For several years, friends would casually inquire if I had ever thought about teaching classes on any of these topics. I always dismissed the idea, but once we moved to the farm, I decided to give it a try. The first class I taught was a Garden Planning Workshop. The two hour course, taught here at the farm, instructs beginners and seasoned gardeners alike in how to plan out and execute a low maintenance, productive vegetable garden. This class continues to be one of our most popular courses. Since then, we have added almost a dozen other class offerings such as Pressure Canning, Raising Chickens 101, and Making Homemade Yogurt. This spring we will embark on yet another new farming adventure: pastured pork. We are currently in the process of prepping about 2 acres of heavily wooded land on our property for 4 piglets that will be coming to the farm in April. We will be raising a heritage hog breed that is well adapted to forest life and foraging. The pigs will be rotated through the woods in paddocks. This means that they can root up one area of the woods, eating lots of plants, shrubs, nuts, and roots. When that area is showing signs of wear, we will move them to a fresh patch of land, which will allow the previous area to re­grow and repair itself. This is unique method of sustainable grazing in a wooded area is also known as Silvopasture. We are excited to dive into this new project and learn more as we go. For more information about our farm, please feel free to contact me through our Facebook farm page here! ​We also welcome visits to the farm, and we gladly accept offers of help during planting season. We love to show others how they can get up close and personal with their food!